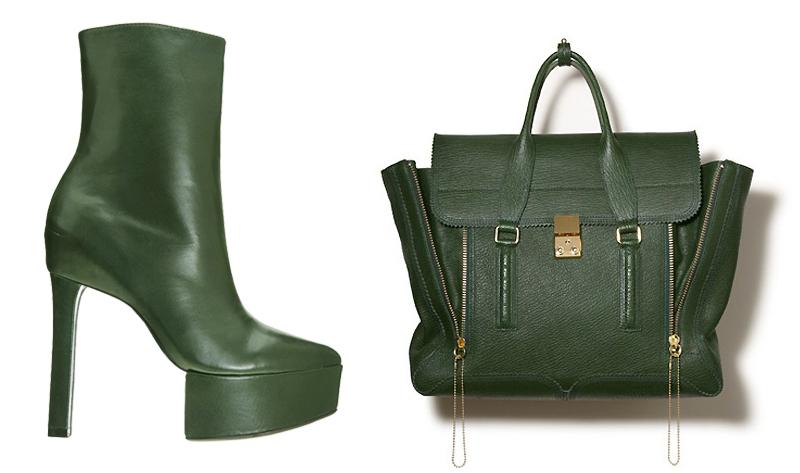 STOP IT RIGHT NOW: GIMME GREEN!! Fine. Please give me green? green is totally my fave color rn!! its funny because I used to HATE it!! !lol but now I even wanna dye my hair green!! Used some of your pictures on my blog. Linked to your page. Hope it's ok. Btw, you inspire me, a lot! Have a nice day! This post makes me want green too. This is why green will always remain my favorite color. That shade of green is gorgeous. This is the kind of green that I prefer. The color just fit right into the boot and bag. Beautiful!